The following is a topic I've ruminated on my the precarious mechanics of 40k' as satire, but some Reddit bickering about female space marines crystalized my thoughts. While I like all of GW's IPs, 40k has always been my least favourite. Part of this is just preferring swords to guns, but I'm also put off by the fascist, racist, sexist (grimdark is wall-to-wall 'ist') Imperium of Man, the seeming 'protagonists', compared to the conflicted but humanist world of AoS. I don't think there's anything 'wrong' with stories featuring undesirable protagonists (The Shield, Breaking Bad, even sitcoms like Peep Show and Always Sunny accomplish this). However, a common refrain when the discussion turns to, say, increasing gender representation in 40k is that this would diminish the satire. And 40k is satire, right? Well, let's talk about that. Early 40k art tends to embody a more absurdist tone. To very briefly touch upon the Female Space Marine argument, it's easy to see how the debate becomes more complicated. I'm usually unsympathetic to outrage about 'forced diversity' in mediums where verisimilitude or fostering audience identification is important, but I can grant 40k as a somewhat special case. The Imperium is a horror of Fascist eugenics and so I understand why people who argue that retconning in women SMs would diminish the oppressiveness (not gonna get into the whole genetic science argument, suffice to say that misogynist eugenics fits the theme of fascism). On the other hand, Dan Olson would call this the 'Thermian Argument' (basically, justifying problematic things with an in-universe explanation), which ignores the purpose and meaning of artistic decisions within a text. It's a bullet AoS has deftly dodged, with GW's focus on representation yielding diverse Stormcast, Aelves, Ghosts and Chaos worshippers. If we're talking about the organizing idea of the tex, we're back to notions of 'satire. What is the evidence for 40k's satirical cred? 40k arrives in the late 80s. It was a product of Thatcher's Britain, part of the same counter-cultural wave as 2000 AD or Alan Moore. 40k was punk. 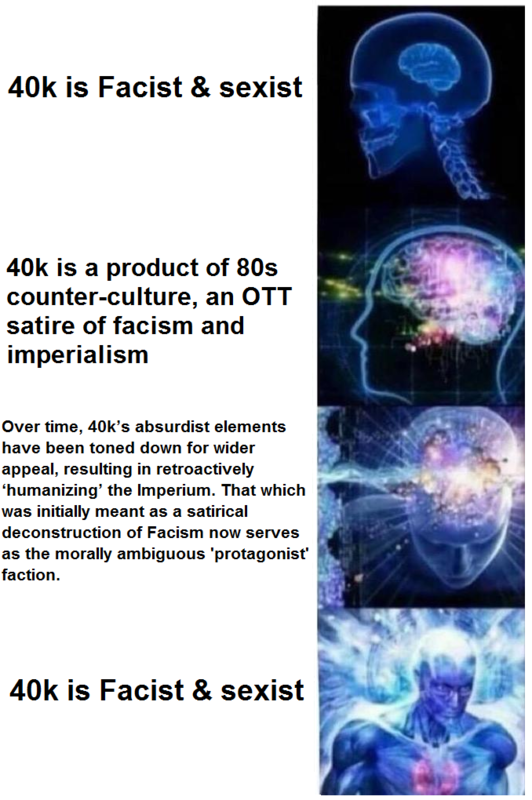 So, is 40k a satire of the fascism it depicts? 40k as a milieu is not inherently sexist or Fascist, but it is a testament to the impossibility of a ‘satire’ surviving the incentives of consumer capital. This is not a unique problem to TT games (look at the Robocop or Starship Trooper sequels. Actually, DON’T), BUT it’s especially hard to pull off here. Indeed, the term ‘late capitalism’ can be accurately applied to GW IP. If we accept the world of AoS and 40k as an ‘art text’ (insofar as it is a composite of many different bits of narrative), we might question how the requirement to constantly sell, expand and not to ‘complete’ the story impacts its 'punk' satire. Here, consumption is the enemy of transgression. Imagine the film Network as a decades-long Soap Opera and you see my point. The 40k IP isn’t story with a narrative structure where textual ‘meaning’ can be summated, but a staggeringly huge UNIVERSE by countless authors. This cuts both ways. We cannot go further than calling the Imperium fascist by claiming THE GAME ITSELF fascist as this would be unverifiable. The presence of a thing does not necessarily equate to the text supporting or idealising of that thing, even if it gets co-opted (and, to be clear, most satires get co-opted by someone). But we can’t pretend that making the lore more accessible, deeper and BETTER does not compromise its ‘polemic’. Superficial elements of parody do persist somewhat (the Imperium and Orks perhaps most of all), but have mostly been supplanted for a tone of greater verisimilitude. And losing some of that satirical edge doesn’t make the lore weaker. On the contrary, adding nuance and depth (good things for a game world) is antithetical to the precise, utilitarian story structure of satire. Satire, whether it is Dr Strangelove, Oh! What a Lovely War, Catch 22 or V for Vendetta, functions through the purposeful, dialectical approach to ideology and meaning within a text. 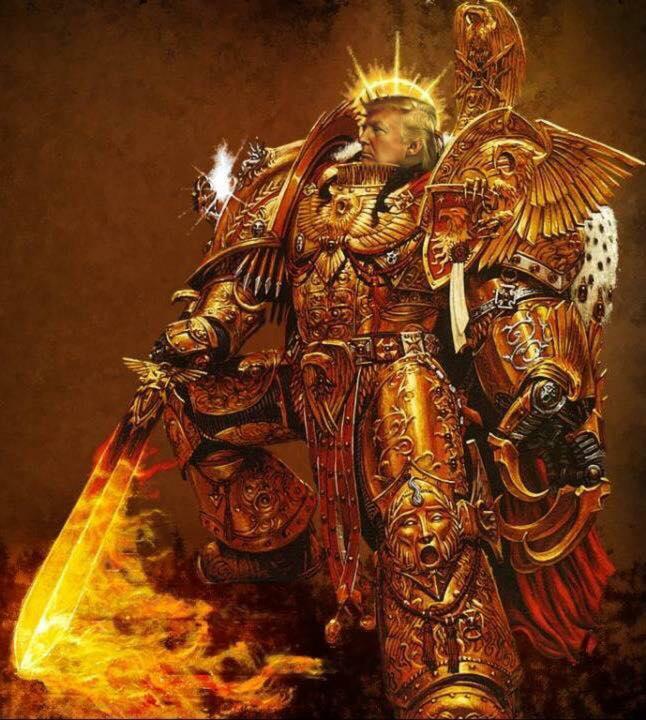 All of this suggests that 40k is at the very least 'bad' satire (i.e. unsuccessful in deconstructing its target for criticism or parody), but bad satire is still satire. But what if it has crossed the threshold, to the extent that it can barely be called satirical at all? 40K really should be the ideal set text for a university course teaching postmodernism. And I’m not talking simply about having pop-culture references. Fredic Jamesons' critique of the post-modern move from parody to 'Pastiche' echoes some of my earlier points, and even his criticism of Postmodern architecture summarizes a lot of what I LIKE about the 40k aesthetic, that it "cannibalizes all the architectural styles of the past and combines them in overstimulating ensembles". As the elements of anarchic pastiche were slowly extracted from 40k lore to make the world feel more accessible to consumers, we are left with a monolithic simulacrum: a copy of a copy of a copy (and so on). It is hyperreal; it is Grimdark. All of these are issues which the AoS lore has sidestepped from conception. On the one hand, it simply cannot be (and isn't) as subversive as 80s 40k (it is a financially-motivated relaunch by the now-large GW corporation), but this frees from the complexity of representation. The lore's text is one which BEGAN as perhaps a little unsatisfyingly 'weightless' (goodie golden paladins fighting bloodthirsty Khorne bros). 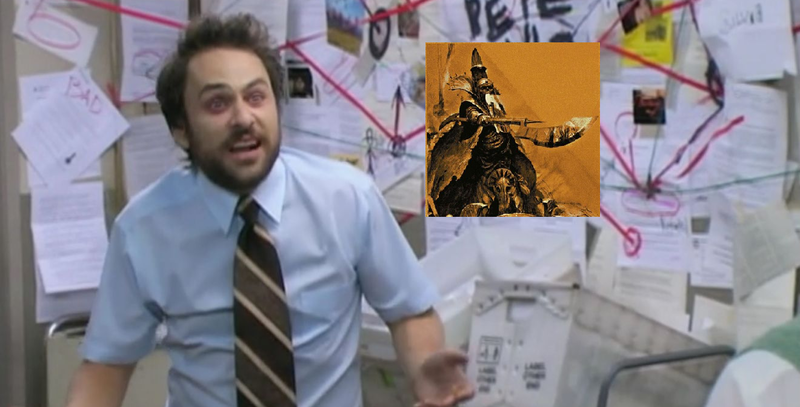 Since then, AoS has moved into more nuanced territory, whether by problematizing the idea of 'Order' as 'good (Idoenth, Khaine and even recent Stormcast lore reinforce a moral ambiguity), as well as introducing relatable nuances to 'evil' factions like the servants of Nagash or Nurgle (for which Josh Reynolds deserves most props). Free of the complication of satire, AoS is freer to explore the facets of its lore without the pressure for deconstruction. Overall, I think that while 40k's lore is pleasingly iconic, its roots in satire will create problems as it ages. The truth is, while satire can exist in all artistic mediums including games (Spec Ops: The Line or Papers Please), tabletop wargames are uniquely ill-suited to follow through. There's the business model of perpetual consumption as well as a mechanical obstacle. The player is required to identify with their army insofar as they are using it to win, but to actively connect the toy-soliders to in-universe characters is optional self-work rather than anything reinforced in mechanics.  This is not to say that you couldn't make a satirical board game (not the same thing as being funny: Bloodbowl is funny but not really satirical). I don't have an extensive board game knowledge so I'm sure there are examples of games which utilize player gameplay to make some satirical point. But Warhammer ain't it. And that's fine: as I've mentioned, the polemic of satire is antithetical to personalizable and expansive scope of GW IP. Ask a diehard Kaiju fan if Toho's decade-spanning Godzilla franchise preserves the satirical intent of Godzilla (1954), they'll admit "no". But you won't get them to say the franchise was a mistake. 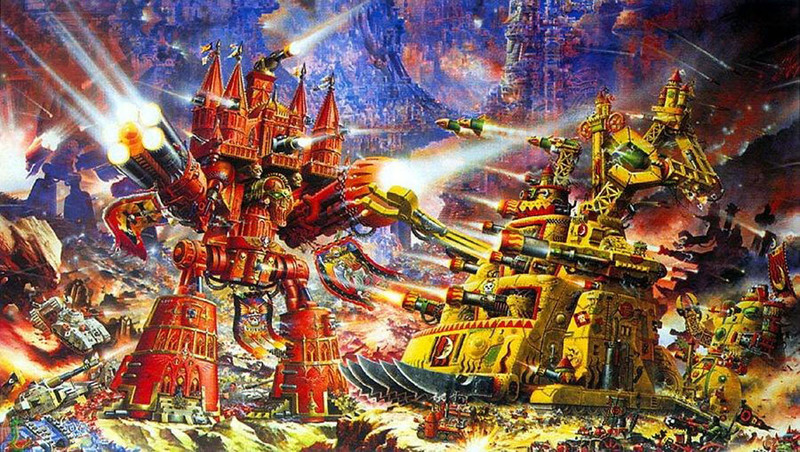 40k has lost its satire but grown its appeal. This has been a cunnin' fink-piece by Lorecritmork (yes, I was tempted to make more of that bit, but it's not like a mini-essay on postmodernism isn't alienating enough).